Product prices and availability are accurate as of 2019-04-12 10:09:46 EDT and are subject to change. Any price and availability information displayed on http://www.amazon.com/ at the time of purchase will apply to the purchase of this product. 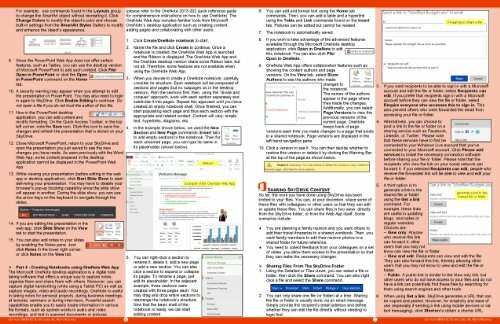 Microsoft Office Web Apps are a web-based version of the Microsoft Office 2013 productivity suite. Web Apps include the web-based versions of Microsoft Word, Microsoft Excel, Microsoft PowerPoint, and Microsoft OneNote. The web apps allow users to access their documents directly from anywhere within a web browser as well as share files and collaborate with other users online. The web apps offer many of the traditional tools and functionality available through their desktop counterparts; however, some features are not supported. 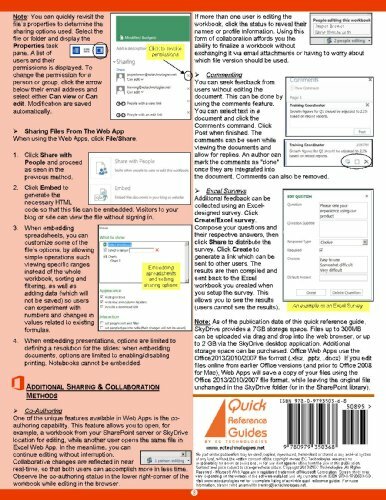 In this quick reference guide, we will discuss the usage of Web Apps and the functionality associated with creating and managing content stored on your local computer or shared through SkyDrive, Office 365 or SharePoint. Basic knowledge of Excel, Word, PowerPoint and OneNote is recommended. 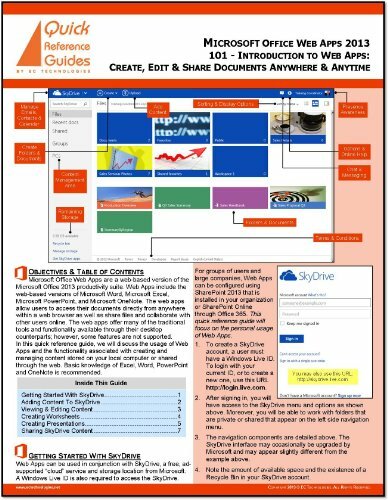 Topics include: Getting Started With SkyDrive, Adding Content To SkyDrive, Viewing & Editing Content, Creating Documents & Worksheets, Creating Presentations & Notebooks, Sharing SkyDrive Content and several tips and tricks. 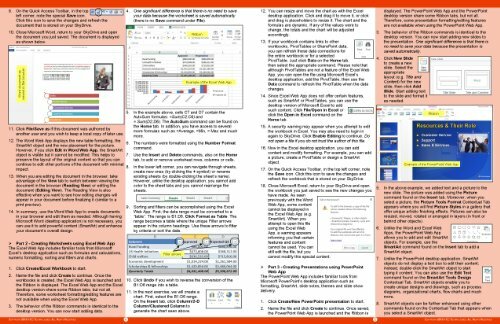 This 8-page bifold quick reference guide (cheat sheet) offers clear step by step instructions presented in a clear and concise manner, using an 8.5x11 layout, on a 2-page spread. All of our quick guides are developed, designed and published in the US. They are printed on a high-quality sustainable stock that features UV coating which resists fading and spills. We use sustainable inks, packaging and production material. Use WebApps on the go to author and edit documents. 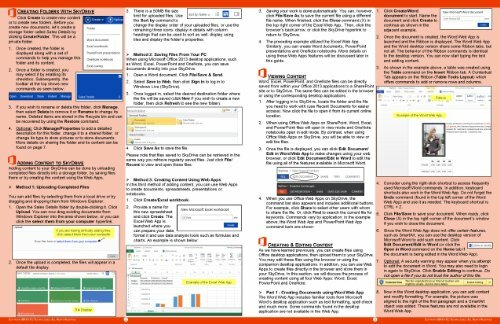 WebApps includes Excel, Word, PowerPoint and OneNote. Manage your worksheets, presentations, documents and notebooks from anywhere at anytime. Upload changes to documents and share content with other users. Take advantage of SkyDrive storage and management features.